A small video tutorial showing how to prepare and format closed captions from an external source in Annotation Edit. 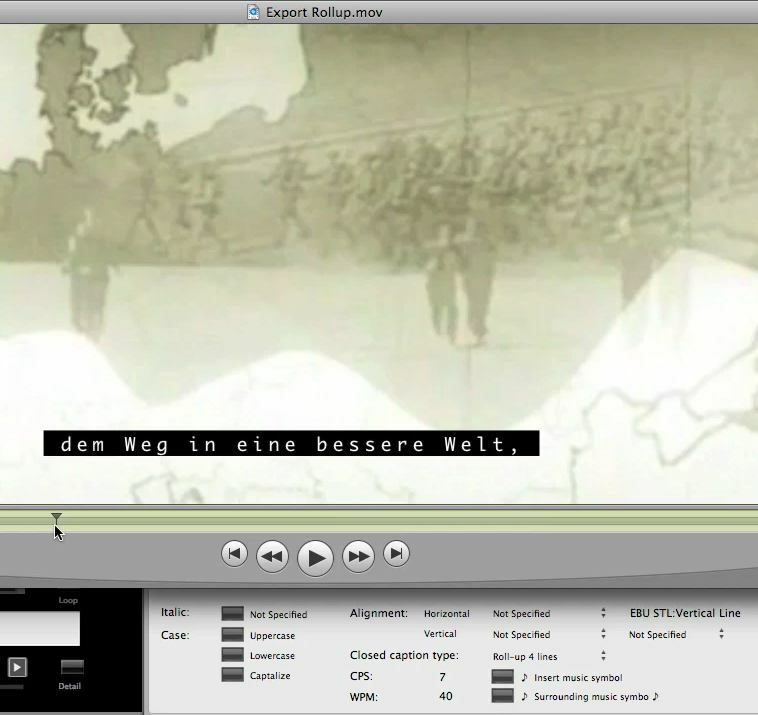 At first the imported subtitles are formatted to 4 line pop-on captions, then the same source is prepared for 4-line roll-up captions. Including export to QuickTime movie right in Annotation Edit. Click on image to start the video.